In 2017, Daniel Middleton from the UK made more than 12 million pounds through his YouTube channel alone, making him one of the highest YouTube earners in the world. While it’s not easy and there are millions of YouTubers who make far less from the platform; reaching this number is very possible if you have your eye on the real prize – creating content that an audience loves. To help you get there, here’s a comprehensive guide to help you understand how to earn money through your YouTube videos. The channel worth 12 million pounds! YouTube allows monetization through its Partner Program (which we’ll talk more about later) for a channel that has 4000 watch hours in the last 1 year AND 1000 subscribers. Sharpen your saw! Focus first on creating great content and keeping the large audience that it attracts engaged. If you’re not there at the moment, don’t be disheartened. Most YouTube channels making money from the platform worked their way up for a considerable amount of time focusing first on putting out great content. 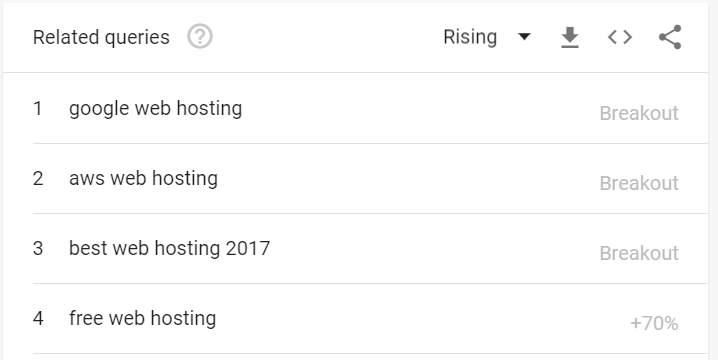 Here’s a look at the top YouTuber right now. While you note the amount of money this channel earns, also note the date that it was set up. You should also ensure that you optimize your videos for your content to help reach more people who search for content that matches your video. Similar to a website that you would optimize for a search engine, you need to optimize your video for YouTube (which is another large search engine itself). Note- YouTube (like its parent Google) is intelligent enough to detect inaccurate, inconsistent video descriptions. Attempting to scam YouTube could lead to severe penalties for your channel. You can accordingly decide which one you want to focus on more to attract that specific search audience. Take a look at their video titles and description and note what seems to be working for that particular video. You may find that they will not have optimized their videos at all but have risen to the top based purely on amazing, engaging video content. 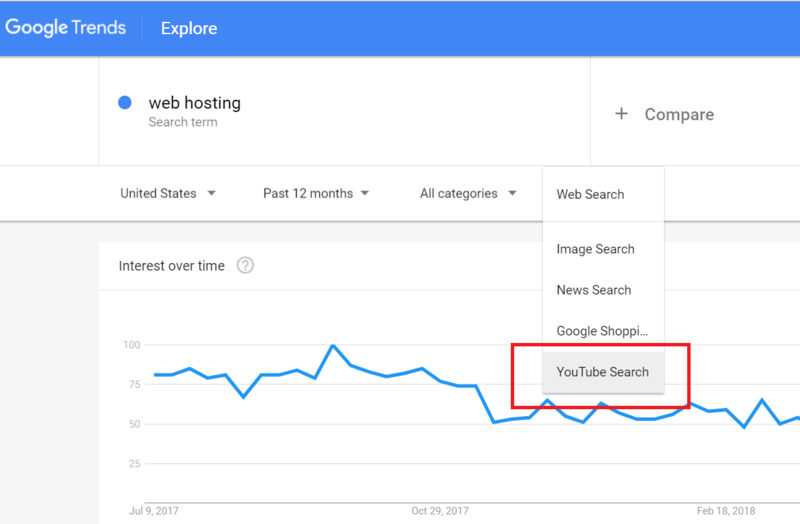 Type your keyword into Google Trends and select ‘YouTube Search’. Scroll down to look at ‘Related Topics’ and ‘Related Queries’ and switch between ‘top’ and ‘rising’ queries for more ideas. Another tip is to look at the video search results for your keyword in the Google search engine and note the videos that come up here. Remember to include both short and long-tail versions of your keyword. 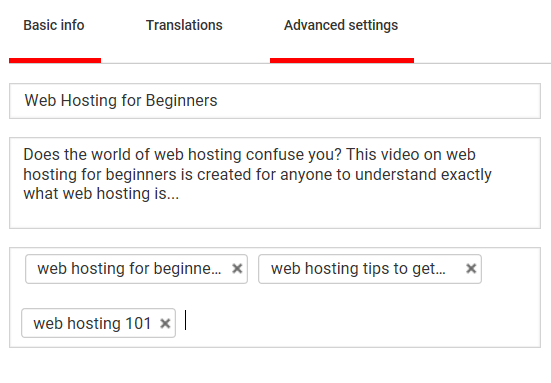 Also try and ensure that the first 100 characters of your video description includes your keyword and is exactly what you want a viewer and YouTube to know about your video. The transcript of your video also plays an important part in expanding your reach. Not just to ensure it comes up in related searches, but also to communicate accurately to viewers who are differently-abled in terms of their auditory senses and those who may find the accent in the video difficult to follow. While YouTube automatically transcribes your video, the bot is known to make mistakes especially when it seems to have trouble recognizing the accent of the speaker. It is much better to transcribe the video yourself to ensure it is 100% accurate. YouTube allows you 3 ways to do this as you can see below. Follow the instructions given in the next screen to connect your channel to your AdSense Account where you can earn money on ads that YouTube will place in or near your videos. It may take upto 48 hours for the connection to get activated. 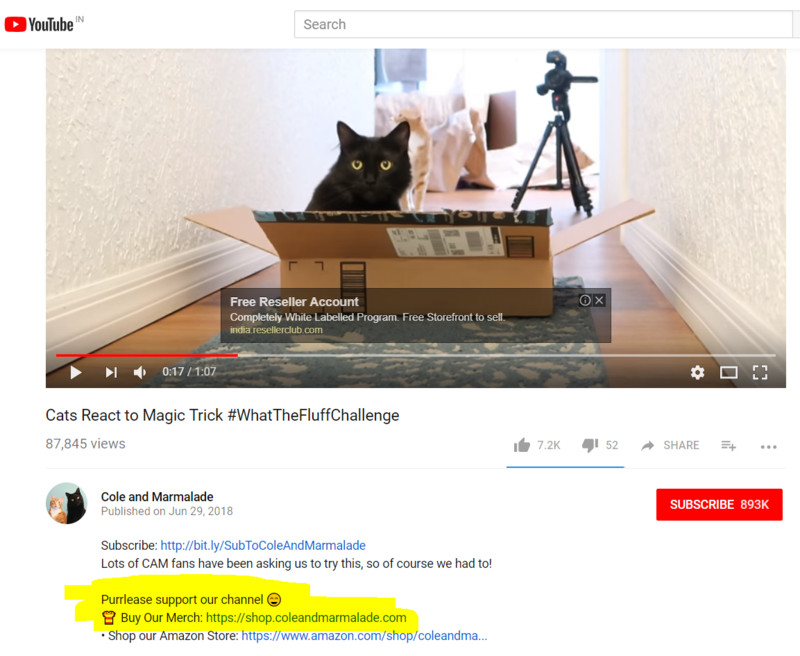 TIP 1 -Do not create an AdSense account directly through adsense.com but follow the instructions from within the YouTube monetization flow (as mentioned in the screen above). TIP 2- Make sure that the email address that you have used to sign into your AdSense account is the same as the one you have signed into YouTube with. As soon as your channel is approved, choose the kind of ads you want to run for your videos and also if you want all or individually selected videos to be monetized. You should then see the monetization icon next to your videos. However, if you see a yellow icon instead, it could indicate that your video is not suitable for advertizing or just for select ads and could receive just a few ads. NOTE- even if monetization is set for a video, an ad may not always appear. Ads are shown based on your video metadata and how advertiser-friendly your content is. Further, YouTube also tries to make sure that viewers aren’t bombarded with too many ads. YouTube Red is the premium version of the platform which offers several benefits including ad-free videos. You will earn money from YouTube based on how often viewers choose to watch your video content. Unfortunately, YouTube Red is only available to select countries at the moment. If your content is great and a hit with audiences, there will be a ton of brands who would love to partner with you to help create content for them (such as reviewing or talking about their products) especially if your audience profile matches their own. I’m sure we don’t need to talk about remuneration here. However, you will need to notify YouTube by selecting the check-box that says ‘video contains paid promotion’. YouTube will still run ads for your video but will filter out ads that conflict with the brand you are endorsing. Earning money through YouTube – Method 4 : Merchandising! If your video subscribers are the ultimate fans, they will want to possess your own branded merchandise. There are a ton of YouTubers who do this really well – one of my favourite examples is ‘Cole and Marmalade’ (cat videos, of course!). Merchandise from their videos is used to support animal foster care. You can place links to your merchandize in the description. 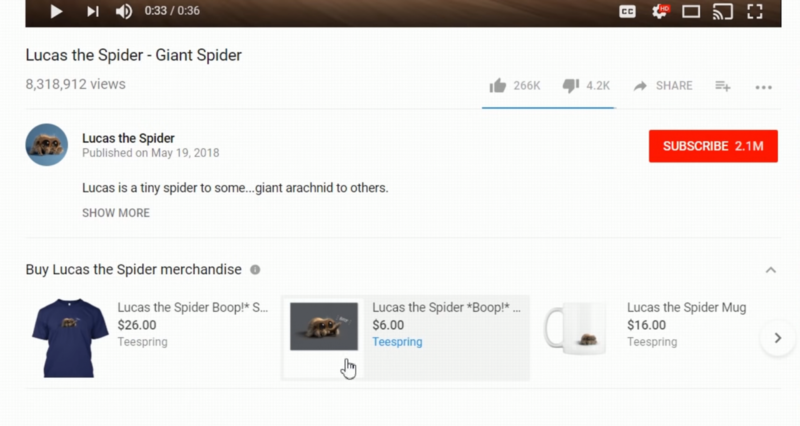 Even better, just this month, YouTube rolled out a feature that places merchandise links alongside your video. At the moment however, YouTube has enabled this is select countries only. As you can see, this is also a great way to drive traffic from here to your website or alternatively (if your website happens to generate more hits) to your YouTube channel. If you have a WordPress website, you could use the WP YouTube Live plugin to automatically detect live videos from your Channel and display it on your website. Just this year, YouTube is allowing creators (currently only in the US) to sell paid membership to their subscribers at $4.99/month for exclusive returns such as shout-outs in videos, special access to other videos and more. Learn and train through all of the following resources below to help get to the top of that YouTuber ranking list we shared from socialblade! We hope we’ve helped you learn how to earn money from your YouTube videos. Reports show that YouTubers are earning more than ever with time on a platform people just can’t get enough of!